Rev. 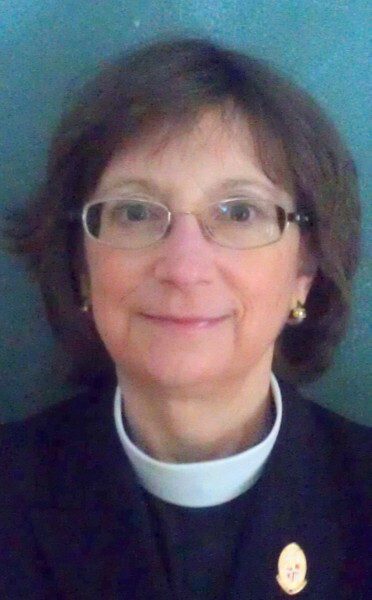 Theresa Brion, Rev. Dan Duggan, Liz Pomerleau, Clinical Pastoral Education Chaplain Residents, and Chaplain Interns are available for pastoral care for residents, Priority Club and Goodwin House At Home members, staff, and families. The Rev. Theresa M. Brion has served as the full-time chaplain to the GHBC community since May 2016. Rev. Brion graduated from Longwood University with a B.A. in Social Sciences and from Washington and Lee University School of Law with a J.D. She earned her M.Div. from Episcopal Divinity school, with a Pastoral Theology concentration. An ordained priest in the Episcopal Church, she earlier served on clergy staff with the Episcopal Dioese of Maryland and pastored several Episcopal and Lutheran (ELCA) churches in Western Maryland. Prior to seminary, she completed four units of ACPE- accredited chaplaincy training in North Carolina and Georgia. Chaplain Brion assists members of the GHBC community in linking with local church congregations. She also works with Catholic members of the GHBC community who are unable to attend services and who wish communion visits by an Extraordinary Minister of Holy Communion. The Rev. Daniel R. Duggan has been Director of Clinical Pastoral Education for Goodwin House Incorporated and Director of Chaplaincy Services at Goodwin House Bailey's Crossroads since May 2007. Rev. Duggan graduated from Tarkio College, Tarkio, Missouri, with a B.A. in Psychology. He completed seminary at the University of Dubuque Theological Seminary in Dubuque, Iowa, and was ordained in 1974 as a minister in the Presbyterian Church, USA. He has served parishes, hospitals, nursing homes, hospices, and CCRC's in his 44 years of ministry as a pastor/chaplain and Clinical Pastoral Education Supervisor. He is a Board Certified Chaplain and a certified ACPE Supervisor. Chaplain Liz Pomerleau, an ACPE Supervisory Candidate, has been at Goodwin House since October 2015 training with Dan Duggan. She grew up in Phoenix, Arizona. She graduated from Beloit College in Wisconsin with a B.A. in Religious Studies and Gender Studies. She later earned an M.Div. at Harvard Divinity School. Liz completed a CPE residency at Washington Hospital Center in DC and a second one here at GHBC. She worked as a hospice chaplain in the Northern Virginia community before returning to Goodwin House for Supervisory Education. Liz is a Quaker and a Board Certified Chaplain.